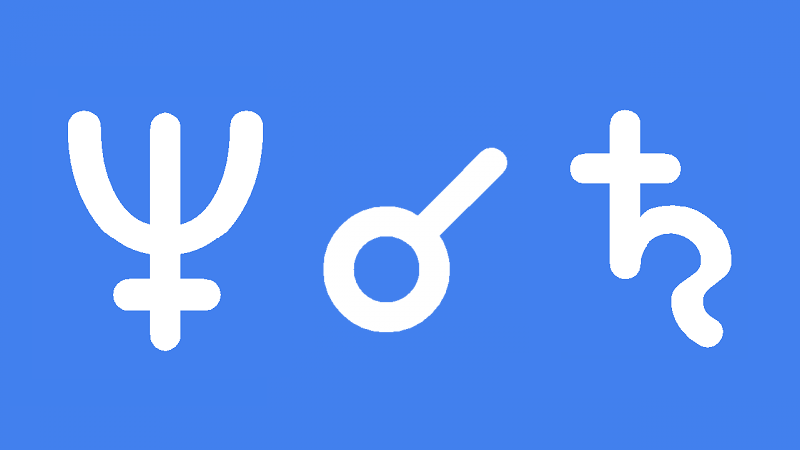 Neptune conjunct Saturn transit is potentially depressing and confusing but also highly enlightening. Discovering that some of your perceptions of the world are in fact wrong can cause disappointment and anxiety. The resulting fear and loss of self-confidence can then make you feel disoriented for no clear reason. Knowing that physicists believe in extra dimensions may help you move from confusion to enlightenment during Neptune conjunct Saturn transit. You will hopefully begin to understand the true nature of the illusion once known as reality. At a less esoteric level, the best way to handle this strange phase of life is reduce stress level by surrounding yourself with familiar people and situations that make you feel comfortable and secure. Added stress will only prolong the confusion so avoid making major decisions if possible. Your mind probably won’t be seeing things clearly, as they are. Avoid difficult or demoralizing people because they will make it harder to see the new truths emerging from the fog of confusion. Niothing like what I am experiencing in my Saturn transit of my Neptune, at all. It was retro exact yesterday. Things are becoming clear, not emprphous. I am surrounded by strange folks to me, and they are the elucidators, not anyone “close” to me. . . . And what is this?? : “Knowing that physicists believe in extra dimensions may help you move from confusion to enlightenment during Neptune conjunct Saturn transit.”. . . Knowing what anyone believes will help me move from confusion to enlighternment??? Lmao!! Really?? Another persons beliefs, random and irrelevant as they and all beliefs are, will catapiult me from my own delusions?? . . . Silly thing to suggest sir. Very silly. I love you as an astrologer as a rule. You;re one of the few go-to’s for me, but this is so off. . . . . to suggest another person’s mental beliefs and delusions that go with them will do anything but add to any pot of stewing confusion, as any and all beliefs do. Even my own beliefs, if I had any such foolish notions, would only serrve to confuse any wish for clarity on anything. . . . . I’m not off right?? Tghis is simple. This article was just written on a foggy morning. . .Anywho, had to say. This article is not about what you are experiencing. This is about Neptune Conjunct Saturn transit. I have not researched Saturn conjunct Neptune transit yet. Natal Saturn is very different to natal Neptune. And transiting Saturn acts in very different ways to transiting Neptune. Did you have Neptune transiting your natal Saturn when you wrote this article, is a thing I wonder. . . . . And even now, if you can see, using even this way I am relating to this fog of emorphous info, (to my mind), instead iof being spun by it, I see clearly, and try to make clarity around me, when those around me, strangers, are a bit confuzed, bringing in slightly tilted perspectives, or at least com on those perspectives that makes them seem tilted. . . . As Nep passes my natal Saturn, I am sorting wheat from chaff like a demon, s it comes into my field of view. . . Lol. So. . . what say you sir to this?? I will be very curious. Cheers and best to you sir. Bob Marks says thst during this transit, he came into full light as an astrologer, and he to my mind is a great elucidator of the emorphous, who is also, as it seems I am, posed at this transit to bring clarity, find clarity and bring it to a world living amorphoudsly in the mists of neptune’s transiting. . . .